Mobile broadband services continue to be a success in today’s hard-pressed communications industry. Driven largely by sophisticated mobile devices and applications, consumers have an insatiable appetite for mobile data services. Analysts are forecasting a signifi­cant rise in the volume of data transmitted over mobile networks in the next years. However, the use of roaming data services remains limited, largely due to consumers’ fear of large, unexpected bills. The distress caused by these large bills has angered consumers in many countries; for instance in European countries. This resulted in triggering regulatory action ending with the introduction of new legislation to establish measures to prevent bill shock and save travelers money. Globitel has designed its Bill Shock Preventor System to address this worldwide phenomenon, and which complies with the European Union Legislation on this matter. Bill shock is an industry term that refers to the unpleasant surprise some customers experience on receiving their mobile phone bills after traveling. There are many reports in which customers complain they had no idea of the charges they were incurring at the time and would certainly have refrained from using the service had they known. They say the mobile service provider should have found a way to warn them of the costs involved; a complaint that is difficult to argue against. These inflated bills give subscribers a negative view of data services and are triggering regulatory action and litigation against mobile communications service providers (CSP) in several countries. Bill shock resulting from the data roaming of users creates bad press and affects CSPs’ ability to enter the mobile data mass market even in their home networks. Globitel’s Bill Shock Preventer comes to rectify these challenges. Encourage postpaid subscribers to use data services while roaming. Increase loyalty and reduce churn. 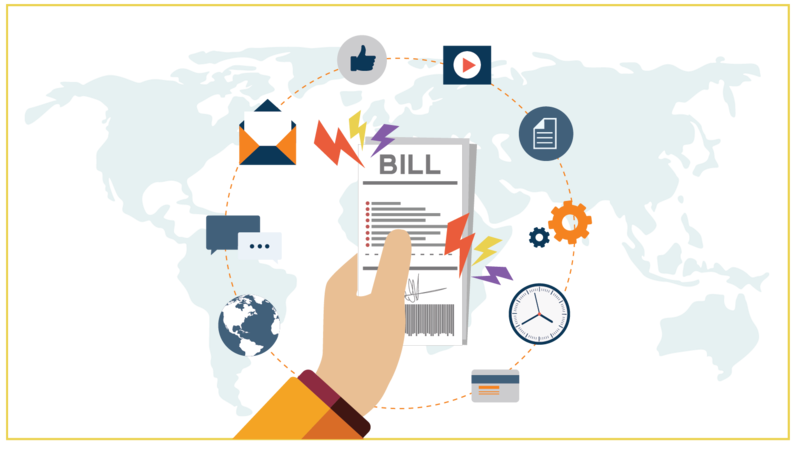 Decrease the fear of bill shock when using data services abroad. Have the monthly bill under control. Receive spending alerts increasing subscriber manageability. Decide to set higher or lower limits for data consumption at any time while roaming.